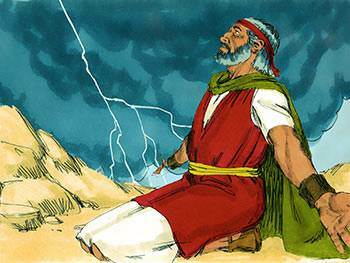 God first spoke His law to the people; then He called Moses to come to the top of Mount Sinai. The Lord said to Moses, "Come up to Me into the mount…and I will give you tables of stone." On these two tablets of stone God had written the Ten Commandments with His own finger. The importance of a subject in the Bible can be measured by the space given to it in God's Word. The Tabernacle is of such great importance that 50 chapters are given to explaining its pattern, construction, and service. This is amazing when you consider that only two chapters are given to the subject of creation. God revealed to Moses every detail of the construction of the Tabernacle. Nothing was left to Moses' imagination. Moses simply followed God's exact instructions. More than 20 times in the book of Exodus we read, "as the LORD commanded Moses." Five names are used in the Bible to describe the Tabernacle. It was called "a sanctuary" because it was set apart for God. 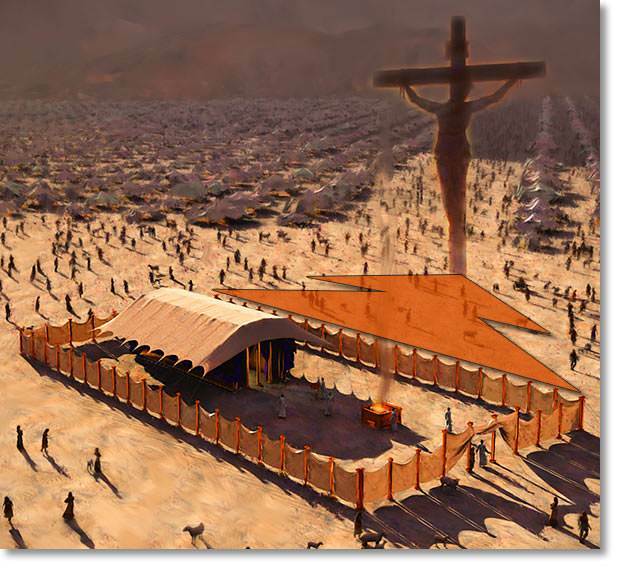 It was called "the tabernacle" because it was the dwelling place of God among His people. It was called "a tent" because it was the temporary dwelling place of God. 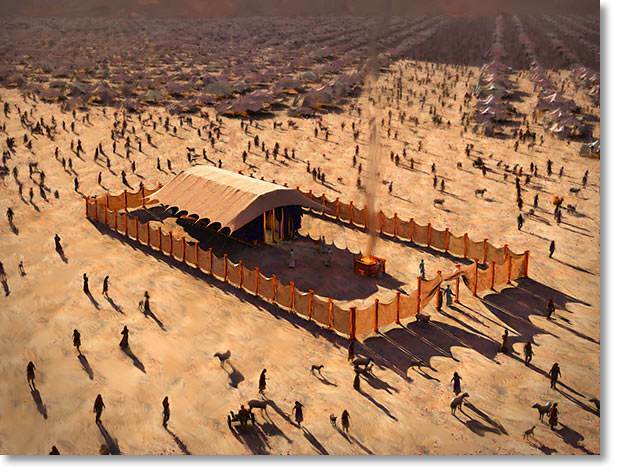 It was called "the tabernacle of the congregation" because it was where God met with His people. 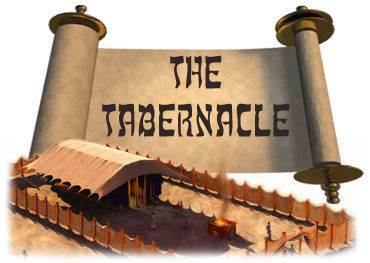 And it was called "the tabernacle of testimony" because it was the place where the two tablets of stone were kept. 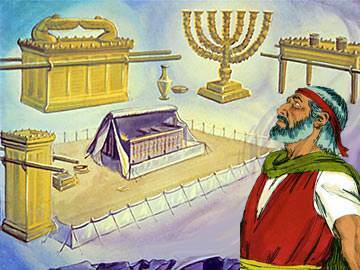 What was the purpose of the Tabernacle? The purpose of the Tabernacle was to show and teach a sinful people how they could approach a holy God and be accepted by Him. Every part of the Tabernacle points to Christ. The sacrifices and the service of the priests all point to Christ. He is the Way—the only Way to God. 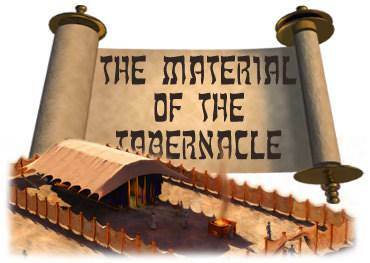 God gave Moses a list of the materials that were to be used in the Tabernacle. These materials are all "symbolic." A symbol is something that stands for or represents something else. In the Bible God often speaks to us in the language of symbols, and it is wisdom on our part to apply ourselves to learn the meaning of the symbols. All the materials used in the Tabernacle speak of Christ. Gold speaks of deity and that which is wholly of God. Christ is "God manifest in the flesh." Silver speaks of redemption—Christ's death on the cross for our sins. Brass or bronze speaks of God's judgment against sin. On the cross, Christ bore God's righteous judgment against sin. Blue Linen speaks of Christ's deity. Blue is the heavenly color, and Christ is the heavenly One—the One "who came down from heaven." Purple Linen speaks of Christ's royalty, His kingliness. He is "the King of kings" and "the LORD of lords." Scarlet Linen speaks of Christ's humanity and His death on the cross. Fine Linen or white linen speaks of Christ's perfect righteousness as a Man. Goats' Hair speaks of Christ's holy separation from evil. Rams' Skins Dyed Red speak of Christ's devotedness to God. He was "obedient unto death, even the death of the cross." Badgers' Skins were the exterior cover of the Tabernacle. They speak of Christ's ability as a Man to withstand temptation and evil. Shittim Wood (acacia wood) speaks of Christ's holy humanity. He was a Man in whom there was no sin. 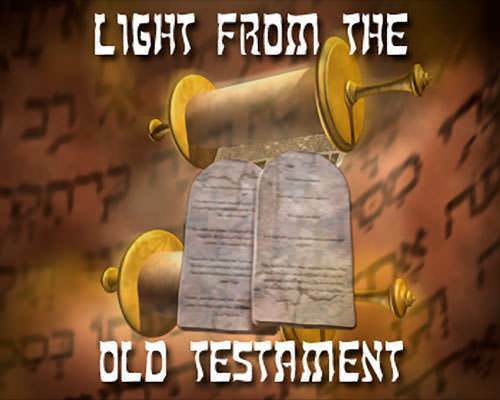 Oil, used in the lamps, speaks of the Holy Spirit. The Tabernacle had no "windows." In the things of God, the Holy Spirit is the only source of light. Spices for Anointing Oil speak of the precious fragrance of Christ. Everything about Him was a precious fragrance to God. 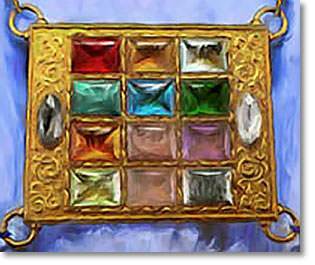 Onyx Stones (precious stones) were woven into the breastplate which the high priest wore. They speak of the saints of God who are ever on the heart of Christ.